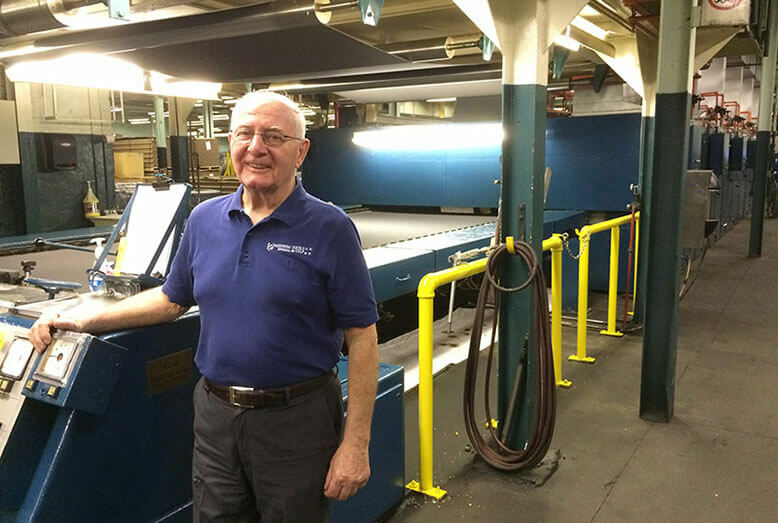 Gilles Piché could have retired from his job at Culp’s Rayonese Textile Division in Quebec 10 years ago, but chose to keep working until he turned 71 years old recently, and retired after 51 years of service. Why? “That’s how much I like the work and the people,” he said. “Every day was a challenge to create and improve. There is something different in the atmosphere that pushes people to do better,” he said, adding that he was always proud of working at Rayonese/Culp. In fact, Gilles worked at Culp even longer than he has been married. He and his wife just celebrated their Golden Wedding Anniversary in July.